The Lunar Eclipse, Chand Grahan is to take place today on Thursday 18th August 2016 in Pakistan and other countries of the world. 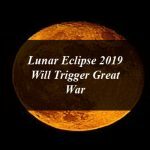 it will be the second Lunar Eclipse of the year 2016, but most of the viewers will not be able to witness the Chand Grahan because according to monitoring agencies, the Lunar Eclipse will nearly be visually unnoticeable. Only the viewers in Pacific Ocean near continents Australia and the Americas will be to witness the Chand Grahan. The monitoring agencies also said that the chances of seeing Lunar Eclipse are very rare. The Chand Grahan will take place before the sunrise in western countries while in eastern countries it will happen in the afternoon. The duration of the Lunar Eclipse or Chand Grahan will be of 18 minutes. The third Lunar Eclipse of the year 2016 will arise on 16th September, 2016 and people will be able to see the Chand Grahan in Europe, Africa, Asia and Australia continents. The duration of the third Lunar Eclipse or Chand Grahan will be four hours. 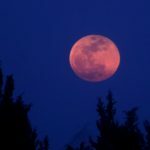 The first Lunar Eclipse of the year 2016 had occurred in March and was witnessed by the people of several countries including United States, Canada, Iceland, Russia, Turkmenistan, Norway, Australia and other countries of the region.